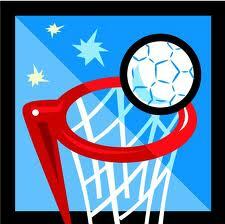 Top Sports Coaching is all about netball. We have successfully put on coaching and umpire courses throughout the year with the aim of up-skilling everyone who has anything to do with netball. 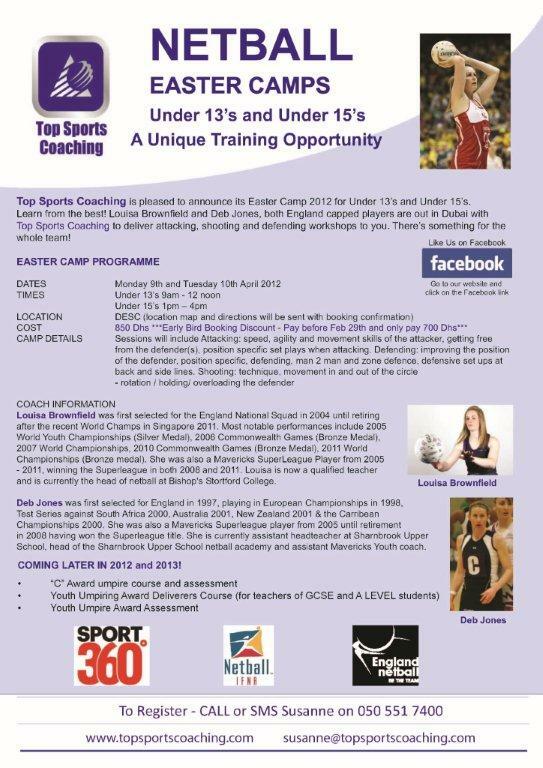 Our next exciting venture is the Easter Camp on 9th and 10th April. We are very proud to have 2 Internationally capped players coming out from the UK to deliver this specialized camp. We feel it is very important to offer the children in Dubai schools the same experiences as other British Curriculum schools around the world. After all most of our children will eventually be heading out of Dubai for further education and we want them to be on a par with their netball skills as the peers they will meet at university/college. There’s something for the younger ones too as Primary training goes on in 2 locations in Dubai, teaching the highly acclaimed High 5 netball, developing young children as all round players. Next on the agenda is the development of a Primary and Junior league for girls to take responsibility for running their own teams in a safe environment. This is the ideal progression from school netball and bridges the gap between the school league and the adult leagues where girls need to be 14 and above to play. Why not get in touch to see how you can join in? Check out Expat Echo Dubai’s Children’s Sports Directory for a full listing of Netball Coaching in Dubai. For more Easter camps, please visit our Easter Camps Directory.